The easiest App to track your trips. Just step into you car and the App does the work for you! Always a backup in the cloud. Better safe than sorry. Your report created in just a few clicks. The easiest trip administration tool to distinguish your business miles from private ones. Tax proof. The most convenient tool to track your trips and reimburse the costs from your client. Easy tracking and reporting. Consistent tracking, reporting and reimbursement of mobility costs within your company. One efficient solution for everyone! Do you have an Android smartphone? 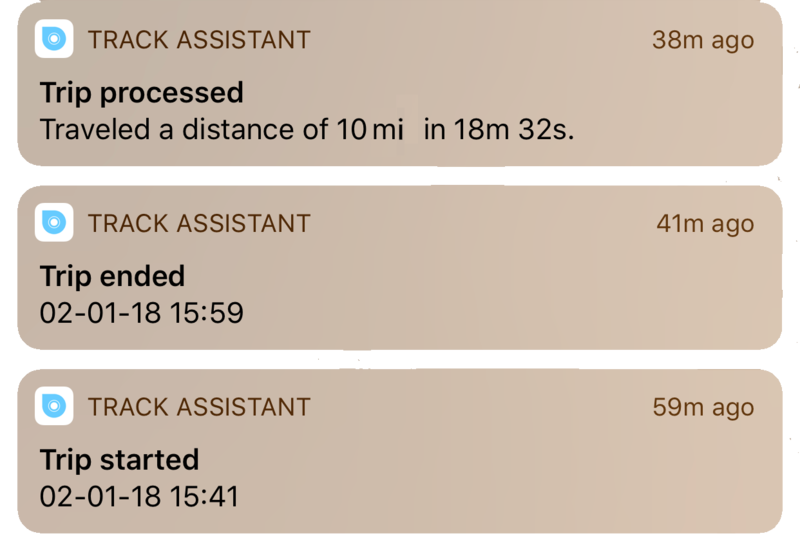 In that case the Track Assistant App automatically registers your trips. The Track Assistant car trip logging App automatically detects when you get into your own car and starts recording your route. As soon as you get out of the car, the App knows that your ride has ended and the trip data is processed. The journey is then automatically added to your miles administration. That is really convenient. Ar you using an iPhone? The Track Assistant iPhone app uses an iBeacon, available in our webshop, to register exactly when you are driving and when the ride is finished. And which route you have driven. With this App, you automatically register your journeys for your mileage administration. Always with the correct distance, corresponding with the actual route you have driven. It can’t get easier than this. Whether you’re self-employed or on the job, whether you need it for a tax claim or an expense, or just want keep track for your own stats, Track Assistant offers you the most convenient app to track your car miles. No black-box that needs to be installed, no paper notes anymore in your dashboard drawer. No painful mileage administration anymore at the end of the month. Living in the UK, Germany or Italy? In your Track Assistant account you can simply select the metric system you would like to use. Kilometers or miles. This will automatically setup your online account correctly, as well as your iPhone or Android app. Track Assistant is the only solution that syncs your milage administration between your App and your online account. In your online account you can create your personal reports by using filters like date, label and private versus business trips. Multi-user accounts are especially created for mobility managers, HR managers or finance departments. As an administrator you can provide accounts to the users you have selected. Convenience and efficiency are key.